Ask me what my ‘life verse’ is, and I’ll point you to this one. 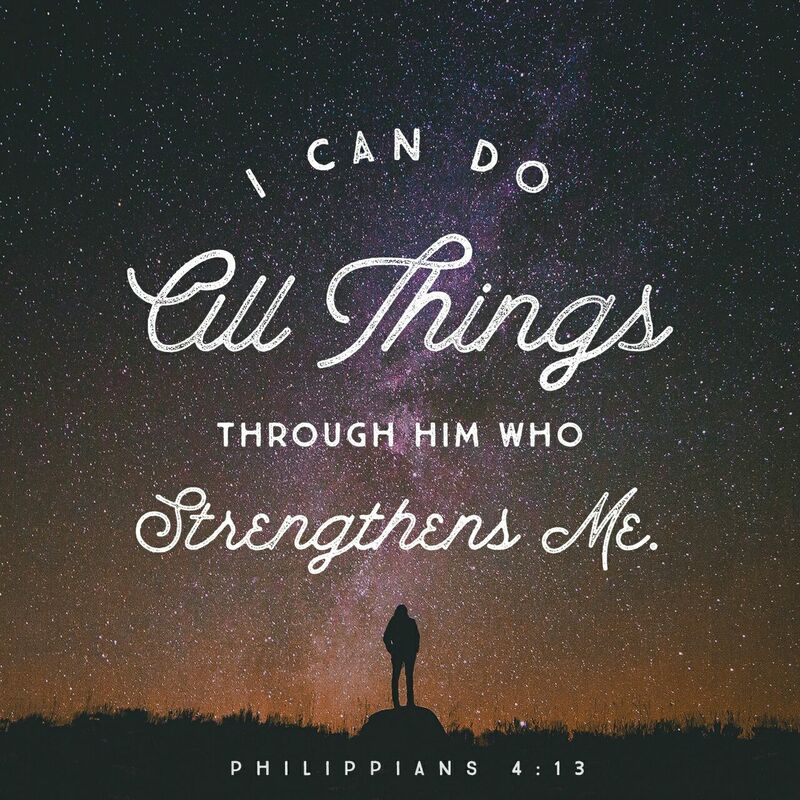 It was one of the first verses I committed to memory as a child, because it gave me an instant dose of strength and courage when I felt afraid. And I’ve always been an anxious person. When the ‘mountains’ of school and relationships and life issues seemed insurmountable, I clung to these words. The idea of my strength coming from a force greater and more powerful than me was emboldening… and the thought that there was nothing I could not overcome was liberating. Today, I still hold onto these words. They remind me I’m not alone in this world. I have a Heavenly Father; a Saviour; and a Best Friend who offers me his strength and courage day in and day out. And while I still get scared sometimes, I’m reassured that there’s nothing we can’t handle together. Nothing my God cannot do, if he so desires to do it. My favorite verse is not unlike yours. It is Philippians 4:6-9.Thank you for sharing your journey! That’s a great verse Ali. With all that is thrown at us in life it is comforting to know we have Someone we can rely on who is strong! So true, Rolain! So glad we can lean into him & his strength and power. This is my favorite verse! This got me through the times, time and time again. So great to see its one of yours too.